Hello, OneThirdGinger readers! It’s been awhile since I last posted, life is funny that way, sometimes you get so caught up with working and the daily “business” of living that you let things slip to the wayside that brings you immense happiness. Well, I’m happy to be back, and I’ve decided to start my return to blogging with a fun post on Staycations. A lot of things have changed since my last post…nearly two years ago…most importantly is that I adopted the most handsome cat in the history of the world…oh yeah, and I get a boyfriend and moved in with him…back to my Cat! 😉 His name is Kingsley and he is pretty much the bee’s knees. Due to the stress of life Josh’s (The boyfriend) boss told him he needed to take a vacation…we unknowingly planned our last minute vacation over Spring Break, and as a result prices were through the roof for virtually every hotel/Airbnb on the planet, so we decided to think outside the box and enjoy a fun Staycation instead. Since we would be saving money on travel expenses we had some finances freed up to spend on other activities, below are some of our Staycation ideas! 1. Try a new restaurant! It’s easy to get stuck in a rut and visit the same old places because they are easy… trying something new or unusually is a great way to make it feel like you are on vacation! We tried a new place called The General Public, a great Texas local restaurant with only one other establishment in San Antonio, The General Public boasts a “neighborhood feel with wholesome food…”. They certainly live up to their promise, from the host to our waiter we had great service and our food was delicious! I had the Chicken Apple Club, and it was incredible! I would definitely recommend trying it! Josh had Fish and Chips, and he too spoke highly of his meal. Just as we were wrapping up our meal, our waiter came around carrying a large tray of shots, he handed us two and filled us in our their tradition. Each night as the sun goes down they do a salute to the sunrise and give a free shot to every patron in the restaurant. While I’m not normally one for shots, it was a great group experience as the entire establishment cheers together, really brought the neighborhood feeling home. 2. Cheat! Well…if you’re on vacation it means you can eat dessert right? So cash in your cheat day and try out a new dessert place and indulge in some deliciousness! We checked out Fellini, “a taste of Italy in the heart of Houston”! They offer a plethora of options from espresso to gelato! We tried a delicious combination of ice cream scoops with steaming espresso shots poured over the top and garnished with a chocolate wafer…It was pretty much heaven in a martini glass! 3. Check out the latest flicks! There are always a variety of options for viewing movies, whether you check out your local Drive-In, or a place such as Discovery Green, which encourages you to bring a blanket and lay out under the stars as they show fan favorite features, or just go to the theatre and enjoy the AC while you eat a large popcorn! 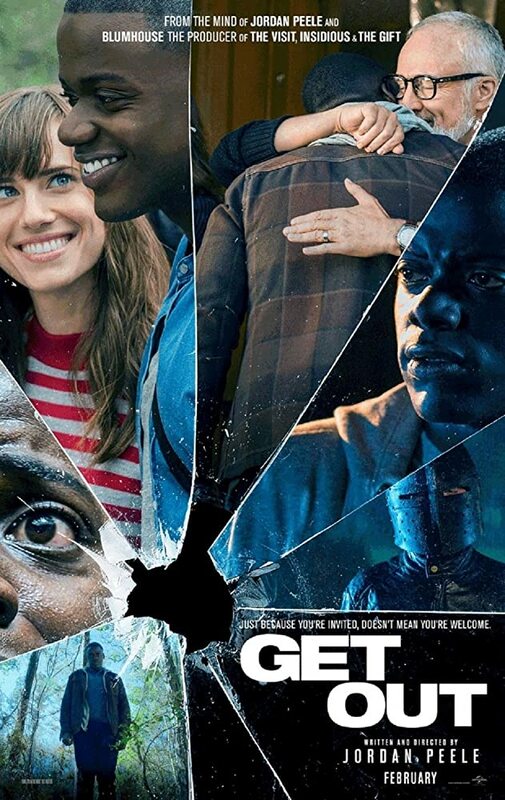 We saw Get Out, and Beauty and the Beast…of course Beauty and the Beast was incredible, but I was blown away by Get Out! Definitely, a must see in my book! 4. Take a Walk! Not only is it a great way to burn off the dessert you just ate, but there is something about walking down the street holding hands that always makes me smile. It’s also a great way to discover local shops that you never knew existed, we found a great thrift store less than a mile from our house that I would have never seen by car. 5. Check out a nearby Town! We drove to a small “beach” town about an hour outside of Houston and spent the day enjoying local shops and restaurants! If you ever have a chance to visit Galveston you MUST check out Queens BBQ! A family-owned establishment that has been serving up scrumptious meals since the 70’s, you will do yourself a grave injustice if you do not order their Smoked Turkey Cliffhanger…the sandwich came highly recommended by a local, and it did not disappoint! Don’t forget to ask for the jalapeno bun, it’s not spicy and adds great extra flavor! The Strand, a local shopping district, offered numerous antique stores, and a confectionery called La King’s! La King’s boasted an old fashion milkshake counter, an immense variety of candies, and of course an in-house coffee shop which is the perfect way to wash down the sweets you just consumed! 6. Go Skydiving! Yes, you read that correctly…climb into a perfectly good airplane and jump out for no other reason but the unimaginable thrill you will experience! Skydiving is actually more affordable than I would have guessed, and a lot of places are on Groupon at discounted rates! We opted to pay a little more ($210 per person) and go while we were in Galveston, where we could jump out over the ocean and land on the beach just feet from the sea! It was worth ever penny, and I would certainly recommend the company we used, Skydive Galveston, Jon and JK did a great job making us feel comfortable as we prepared to plummet thousands of feet towards the ocean. The view was surreal and they even give you a chance to steer the parachute yourself! 7. Game Night! Get together with your friends or family and enjoy an old classic like Spades or Hearts! Game nights are a great economical activity that you can do anywhere! Throw together some snack trays and ask everyone to BYOB and you have the perfect night in the making! 8. Couples massage! Anyone’s life can be made better with a massage, and ones again Groupon is a great way to indulge in a luxury at a discounted rate! Plus, there are a LOT of reviews on Groupon to help ensure you visit an expert masseuse and don’t waste your money. Any experience is what you make it…The important thing is to get up and try new things! I would LOVE to hear your Staycation ideas, leave a comment and let me know your experience with Staycation, and any fun ideas you have tried!